It’s not always easy to jive luxury with convenience in the Alaska wilderness and make it accessible to nearly everyone. Location, budgets, accessibility, time — all factors in the grand scheme of Alaska family travel. In the case of Kennicott Glacier Lodge nestled within Wrangell-St. Elias National Park and the Kennecott National Historic Landmark, this rings doubly true. But if ever there was a time to figure out a way to get there, it would be now. The lodge is a family-run, charming reminder that making effort yields big rewards. 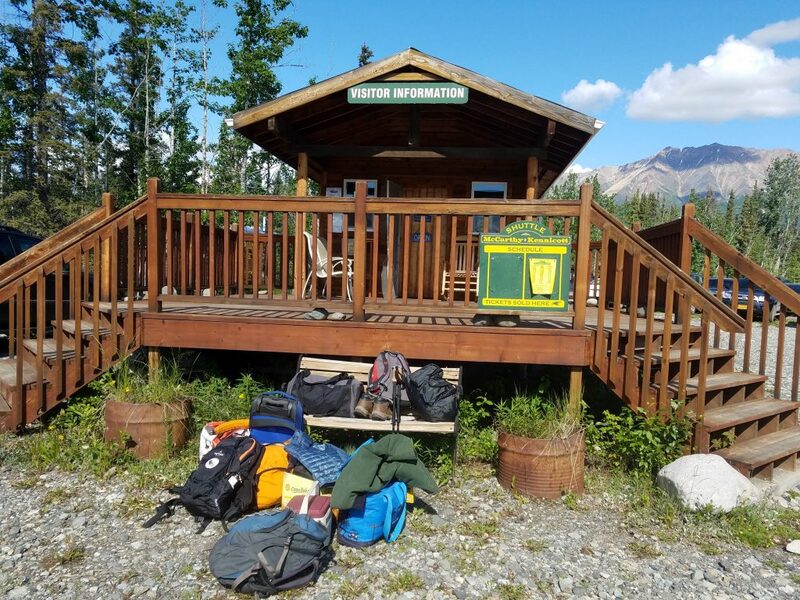 Located truly at the “end of the road” beyond access point of Chitina 60 miles back, and then another five miles from the town of McCarthy, Kennicott Glacier Lodge is as far as one can go without a backpack and crampons. 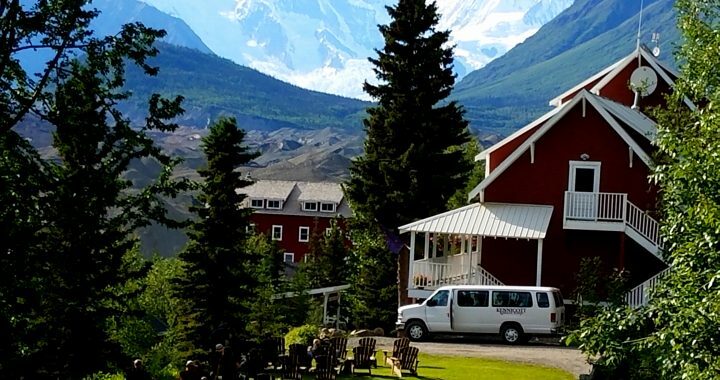 Built in the 1980’s as a replica of an earlier building that burned down, Kennicott Glacier Lodge retains the historical atmosphere of the mining community of Kennecott, built around 1910 to support a booming copper industry. The town’s residents are long gone, but the buildings and landscape, now under the protective wing of the National Park Service, attract thousands each year to wander its streets and ponder the stories left behind in the remnants painted red and white. 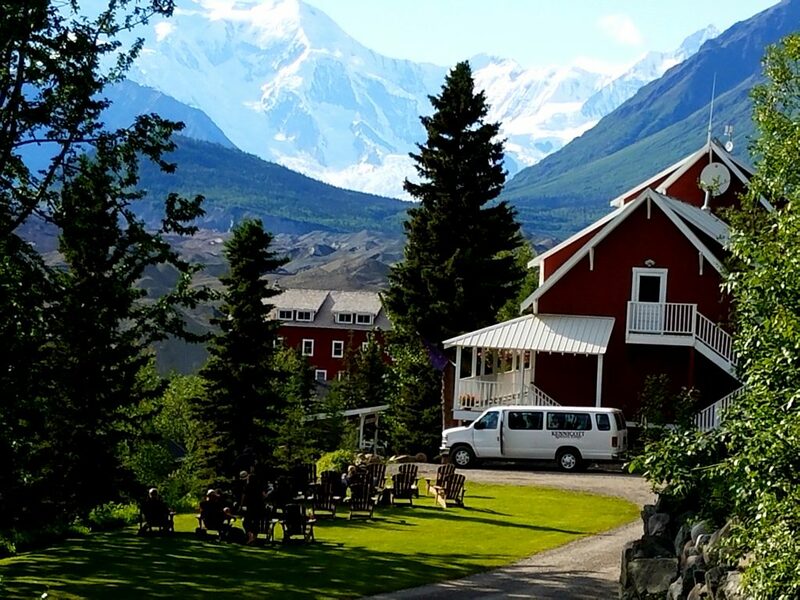 With a Main Lodge and additional wing, the property now can accommodate up to 100+ guests, most with rooms overlooking the town and ice of Root and Kennicott Glaciers that provide a gravelly, whitish view from the expansive front porches. Main lodge guests share baths but are treated to a wealth of historic relics artfully decorating rooms, hallways, and even the bathroom. This is the site for dining as well, a family-style affair featuring cuisine that is hearty, delicious, and served up in such a fashion as to incite conversation among guests. 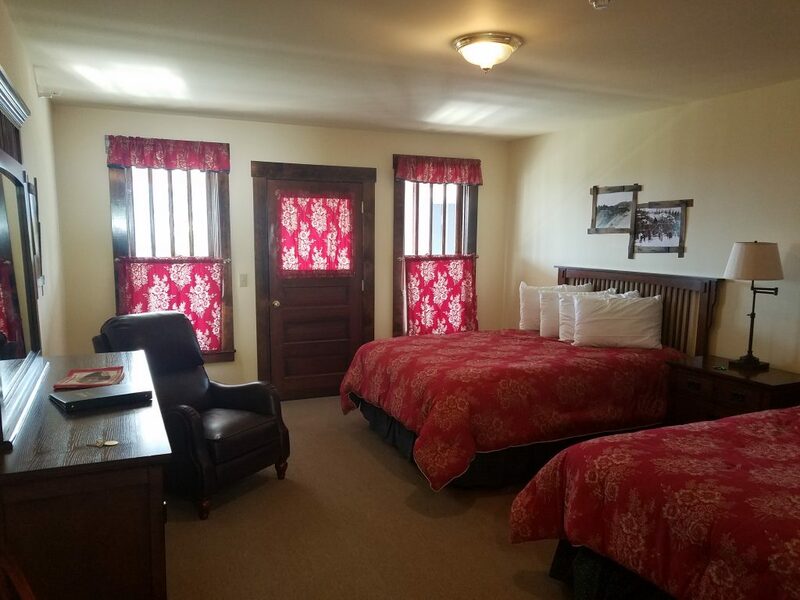 The South Wing, less than 100 yards from the Main Lodge, is the newest addition to the property and each of the 20 rooms has a private bath and access to the creaky, rocking-chair-gorgeous front porch. Sipping an evening beverage while rocking and watching thunderstorms roll across the Chugach far to the south? Priceless. I spent most of our free time doing just that, often with a book in hand describing life as a “Kennecott Kid,” authored by one of several children who grew up in the copper town’s boomtime until 1938. There are, of course, plenty of activities to whet a family’s recreational whistle, and staying at the lodge actually gives visitors a jump on the day’s plans. 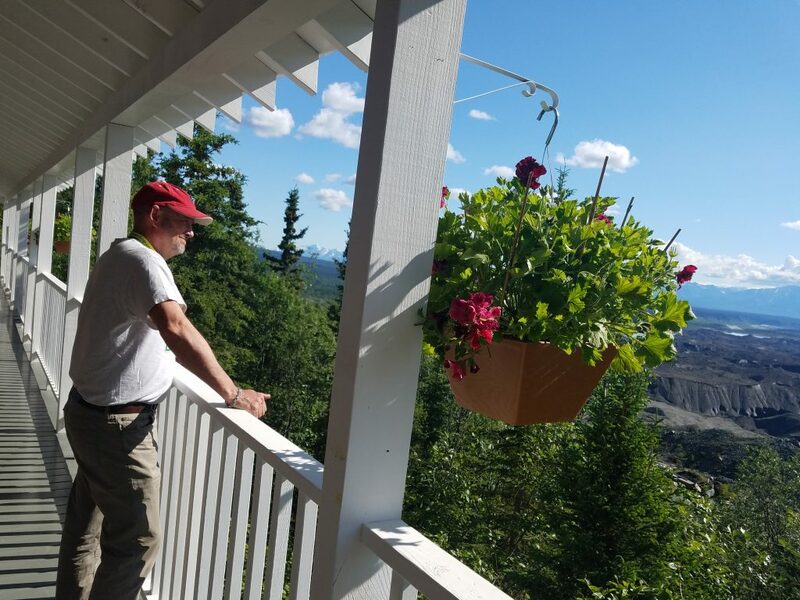 A must is taking time to tour the townsite, either with a Park Service ranger or via the services of St. Elias Alpine Guides, the only company permitted to enter the town’s mill site with visitors. This two-hour tour is best for mobile kids and adults eight and up, as there is much walking, standing, listening, and observing this historical gem. Don’t want a guided experience? Stop by the NPS visitor center to watch a movie, grab maps, and walk slowly the quiet streets that nonetheless echo with a very important part of Alaska’s past. 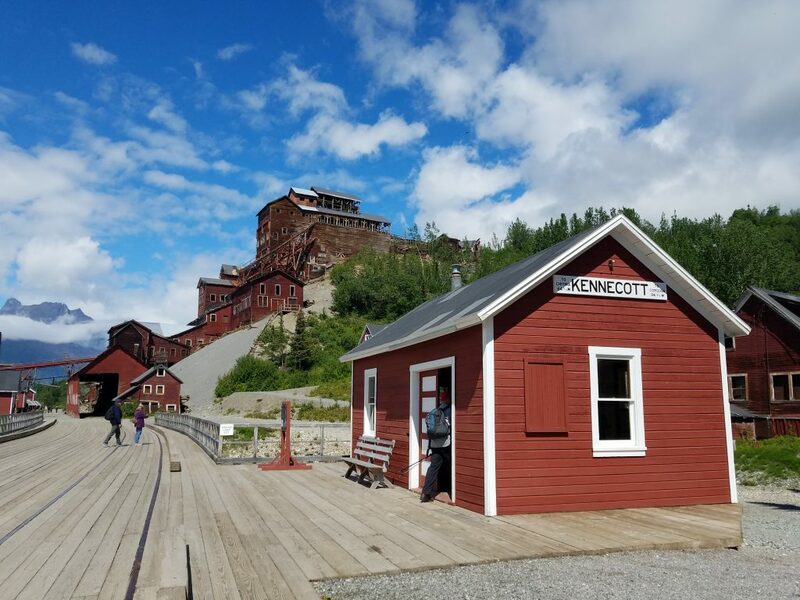 Psst: You’ll also learn about the clerical error by an employee that called town “KennEcott” and not “KennIcott,” after the glacier of the same name right out the door. Oops. Those interested in hiking will want to take advantage of several trails leading to Bonanza or Jumbo Mines; or a day trek to Root Glacier with Elias Alpine Guides. More on that experience later, but the basics include a half or full-day hike or ice climbing adventure (oh my GOSH, what fun that was). At the end of the day, Kennicott Glacier Lodge welcomes guests (staying overnight or not) for dinner, with freshly-baked breads, warm and delicious, at each end of the table. 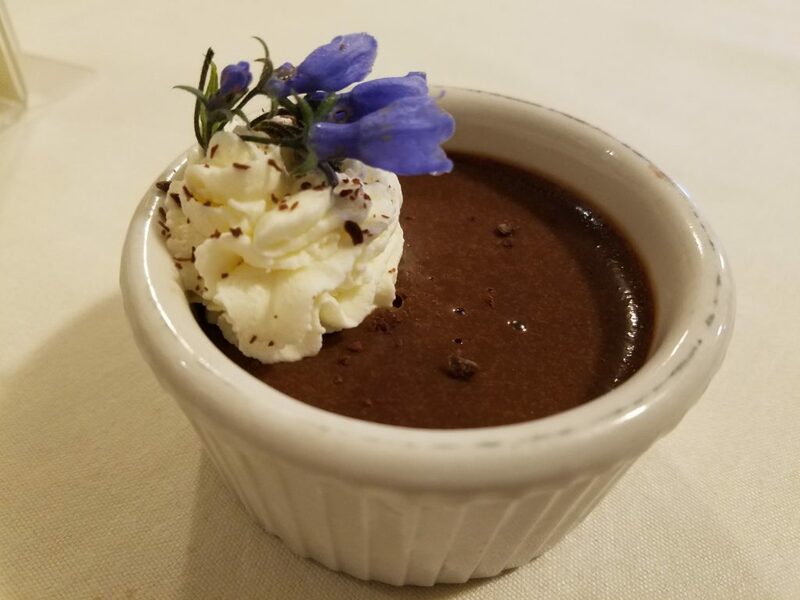 We dished with our tablemates over our adventures while awaiting the entree’ and salad, then lingered over coffee and dessert before groaning our way upstairs for a slide show about the railway created specifically for copper and townsfolk transport. Gracious, warm, and definitely a place to unplug the devices and remind yourselves that this is how vacation should be, Kennicott Glacier Lodge is hard to pull away from as you board the van back to the McCarthy footbridge a few days later. You’ll wish you had a few weeks. WHERE: Kennicott Glacier Lodge is located at the end of the McCarthy Road (beyond the town), 60+ miles from the little town of Chitina. The road is gravel for 95% of the way, and rental car companies do not generall allow vehicles to travel the winding, dusty, rocky tread. Check with lodge staff for a list of companies that do. Allow 2.5 hours to drive the road at 35 MPH. Flying via Wrangell Mountain Air is also an option from Chitina, and a big time saver. HOW LONG: We stay at the lodge for a minimum of three nights, allowing two full days of exploration and relaxation after driving 8 hours from Anchorage. COST: High-season (late May-early September) rates are $195/main lodge; $295/south wing. BUT, there are packages available, and a few specials. Try the Early Summer Special for $99/night, or the B and B Special for $105/night pp/double occupancy including a full breakfast (meals are separate otherwise). Guests are not required to eat at the lodge, and many, including us, choose a few meals there, then head to McCarthy for a few, or pack our own non-perishable items for breakfast or lunch on the go. The dining room at the lodge does offer sack lunches, too. 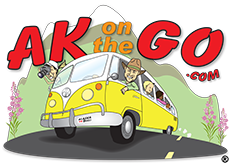 Posted in Alaska Road Trips, Hotels and tagged Alaska, Alaska with Kids, Family Travel, Kennecott National Historic Landmark, Kennicott Glacier Lodge, lodges of alaska, luxury lodges, road trips, teen travel, tween travel, Wrangell-St. Elias National Park.